We are honored to be featured in a variety of print and online media. 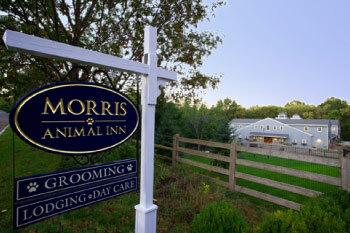 Please click the links below to read the latest articles on Morris Animal Inn. Patch.com – April 26, 2018 – Doggy Blow Out Bar Opening in Morristown. NJ.com – April 21, 2018 – Annual brunch to support construction of Canine Wellness Center. iHeartCats.com – December 24, 2017 – Your Cat Won’t Want To Leave This Luxury Boarding Facility. CNBC – August 19, 2017 – Destination vacations for dogs and cats are becoming more popular. Martha Stewart – January 20, 2017 – What Does it Look Like Inside a Five Star Luxury Cat Hotel? Daily Record – January 6, 2016 – Morris Animal Inn is offering “Canine Cleanse” for dogs.